Years ago, my mom and I started baking shortbread as a part of our Christmas baking tradition. Not just any shortbread, but rosemary chocolate chip shortbread. The combination may initially sound alarming, but they are pretty darn perfect. buttery and soft, with the richness of my favorite herb melding perfectly with the best of the best- chocolate. IT WORKS. It is such a delightful and special treat for us and one of those recipes I will cherish and share until I am old and grey. But it also is very much a holiday recipe for me now. Try these out for a light and fresh dessert this spring and summer! Start by preheating your oven to 300 degrees F.
In the bowl of a standing mixer (OR a regular bowl if you have an electric whisk or are wanting a good arm workout) add the butter and sugar and cream together. I used to ignorantly ignore this step, but have since learned the importance of allow the butter and sugar to cream together into a perfectly harmonious and creamy mixture. This is the base of the shortbread and will ensure they keep the correct form and tender crispness we want. Next add in the essential oils, starting with two drops of each and allowing to blend. Sprinkle in the salt as well. Finally, add in the flour, 1/4 cup at a time, until blended together. 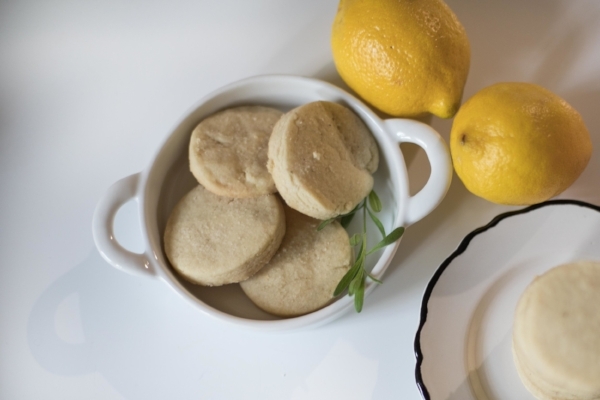 Taste the dough to see if you are pleased with the amount of lemon and lavender present. Add another drop to blend if you want more. Now its time to roll it out. If its warm and your dough is sticky, you may want to chill it for 10-15 minutes. Otherwise, roll the dough onto a lightly floured service to about 1/2 inch thickness. 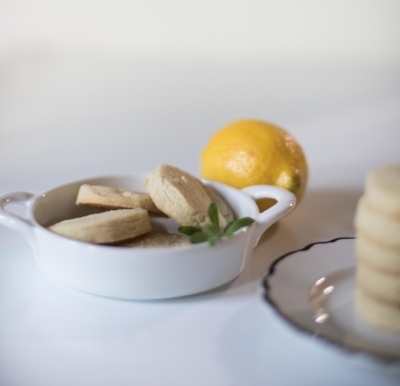 Using a cookie cutter, begin to cut out your cookies and place them on a parchment lined baking sheet. Do this until are cookies are cut. OPTIONAL: Sprinkle the top with a pinch of lavender infused sugar (Mine is from a local shop- Red Stick Spice), before sliding them in the oven. Bake on 300 degrees for 20-25 minutes, until the bottoms are lightly golden and the tops are firm and starting to brown. 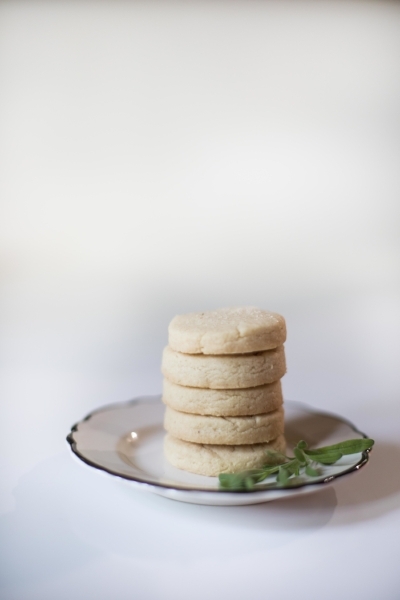 *I like them a little softer and often take them out before the tops are turning, but for a traditional and crunchier shortbread, you want the tops to start to turn golden.